Home > News > NHL Hockey > 2019 NHL Stanley Cup Playoff Props: Will Anyone Score Over 12.5 Goals? 2019 NHL Stanley Cup Playoff Props: Will Anyone Score Over 12.5 Goals? Will Ovi go off on another goal-scoring spree? Will Tom Wilson get up to no good again? 2018-19 Regular Season Recap: Chapter 2@ovi8 broke a tie with Bobby Hull and became the first player in NHL history to finish atop the League’s goal-scoring race eight times. These and other questions are among those that must be posed as you study the various Stanley Cup prop wagers on offer at BetOnline. Goal-scoring was on the increase in the NHL this season. Thirteen players scored at least 40 goals, led by 51 from Washington Capitals captain Alex Ovechkin. Ovi won his eighth Rocket Richard Trophy. Will this goal-scoring outburst continue into the postseason? That might not be relevant. Last season, Ovechkin led the playoffs with 15 goals. In 2017, Jake Guentzel topped the Stanley Cup scoring charts with 13 goals. San Jose’s Joe Pavelski scored 13 times in 2016, as did Tampa Bay’s Tyler Johnson in 2015. The last five Stanley Cup goal-scoring leaders have topped 12.5. Bet the over. The days when it wasn’t really a playoff series until the first bench-clearing brawl are long gone. Last season, Tampa Bay’s Cedric Paquette led the postseason with 37 penalty minutes, and he didn’t even play in the Cup final series. Washington’s bad boy Wilson sat out a three-game suspension for a high hit on Pittsburgh’s Zach Aston-Reese and garnered 31 PIM in 21 games. Four of the past six Stanley Cup penalty-minute leaders have gone under 43.5. The under is the play here. Scoring wasn’t the only offensive category on the uptick in 2018-19. Point producing was also on high. For the first time in 12 years, at least six players topped 100 points. Again, that won’t really make a world of difference come playoff time. Based on recent history, BetOnline has set the Stanley Cup scoring bar quite low. Washington’s Evgeny Kuznetsov topped the postseason scoring race last spring with 32 points, the second time in three springs the playoff points leader got to 30. The last three and five of the last seven postseason scoring leaders exceeded this total. Betting the over here is like a gift from the wagering gods. There were two first-round sweeps in the 2018 playoffs. The @GoldenKnights return to the playoffs aiming to become the first team since 2009 to win the #StanleyCup the season following a loss in the Final. There were also two first-round sweeps in the 2017 playoffs. There are a lot of tight series this year, though. We’d take the under. It’s taken a minimum of 24 games for a team to win the Stanley Cup the past three springs. Four of the last five champions required at least 24 games, and it took no less than 23 games to find a winner in each of the past six Stanley Cup tournaments. It figures to be a long battle for the Cup this spring. Go with the over. 23% of playoff games since 2014 have required overtime (102 of 444 GP), the highest percentage of any playoff format. Overtime happened just 10 times last spring, and none of them occurred beyond the second round of play. On average, there have been 20.4 overtime games played per season over the past five Stanley Cup tournaments. We’d go with the under here. An industry veteran, Bob literally taught the course on the history of sports at Elder College. 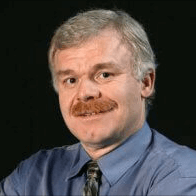 He has worked as a Sports Columnist for Postmedia, appeared as a guest on several radio stations, was the Vice President of the Society For International Hockey Research in Ontario, and written 25 books.